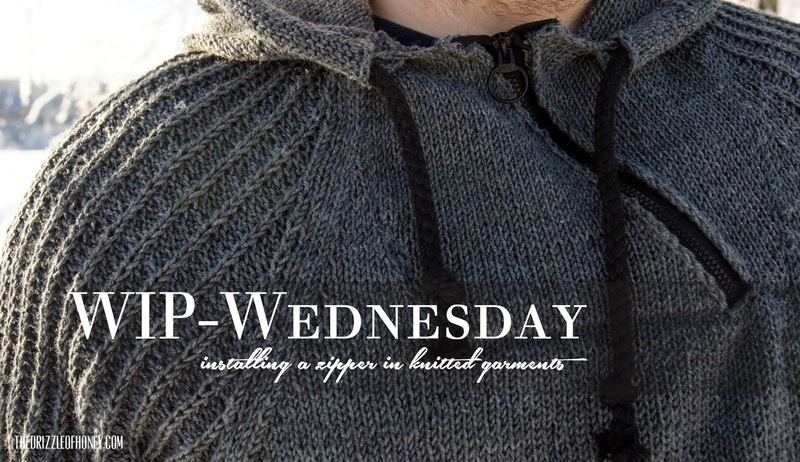 Today, I want to show you how I installed the zipper in the Vintersol sweater. 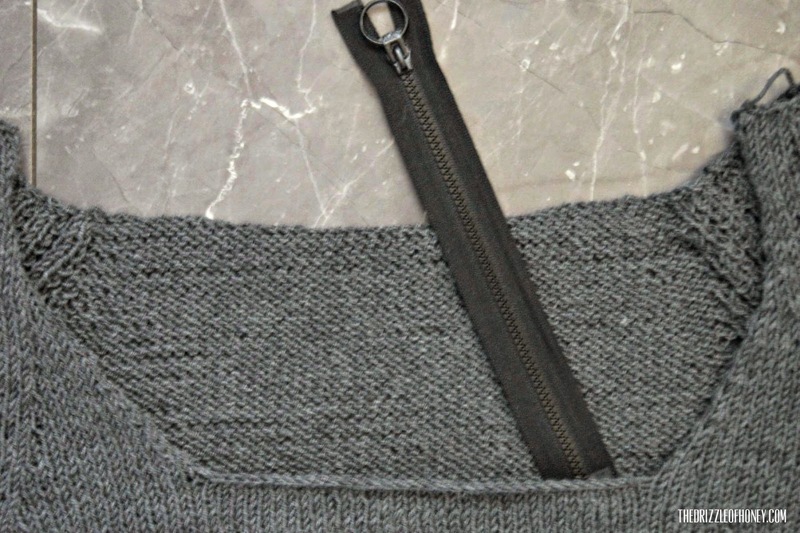 Now, you want to prepare the zipper by adding some stiches that you can use to sew the zipper onto the sweater. 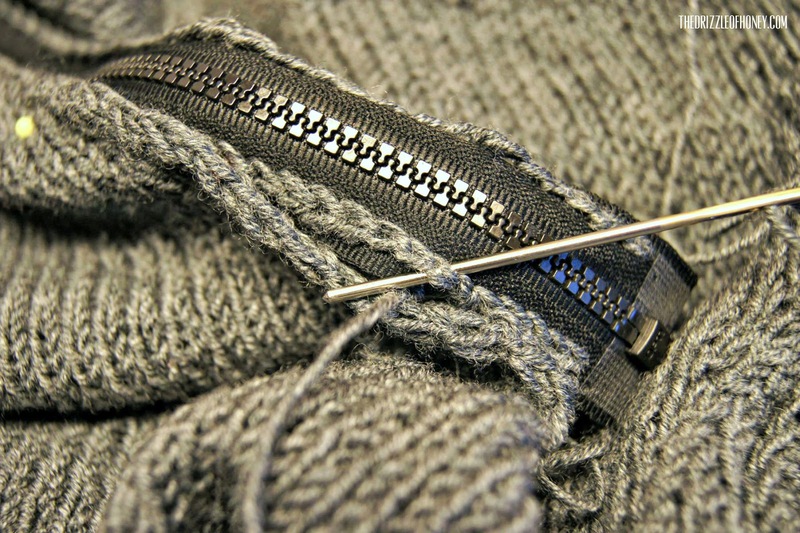 You should not sew the zipper directly to your garment (like you do in traditional sewing with clothes made of fabric). 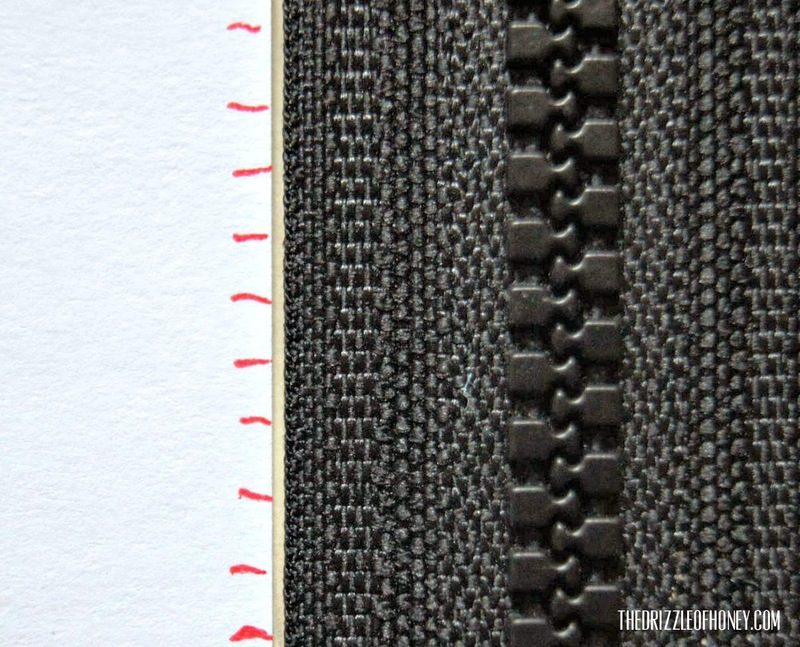 If you are a perfectionist or want your zipper to sit really tight on your garment, then you can use a piece of paper and mark the little bumps on the backside of your garment, so you get the exact space between each stich in your garment. 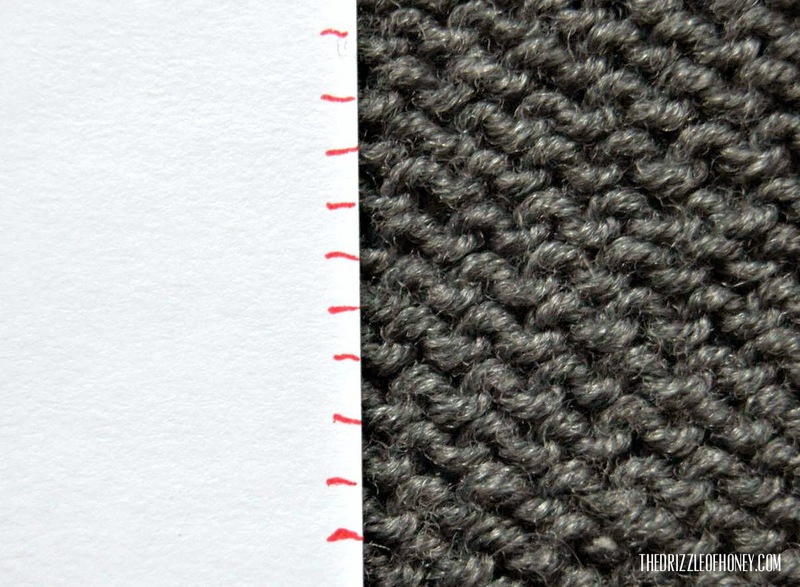 You can then use this marked paper to transfer the spaces to the side of the zipper. These markers can then be used to place the preparing stiches in the next step very precisely. 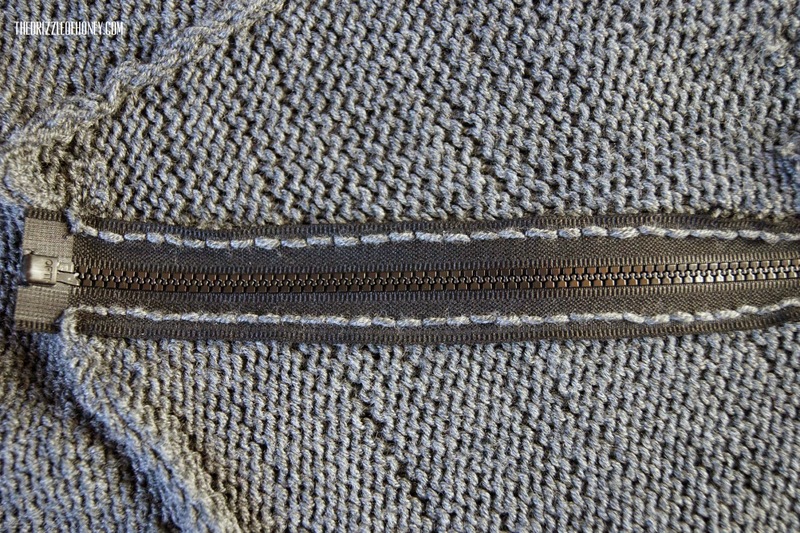 In my opinion this makes especially sense when you've used thicker yarn and the space between the bumps is relatively big, so you can make your "sewing-on-stiches" on the zipper respectively large. 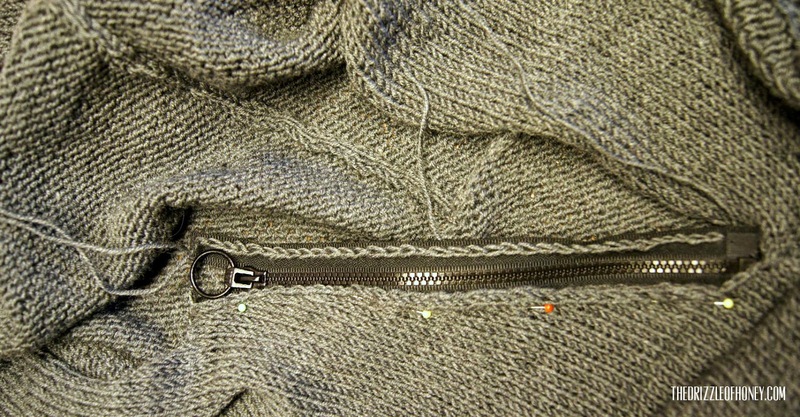 In order to sew the zipper properly to your garment, you have to add some stiches on the side of the zipper. 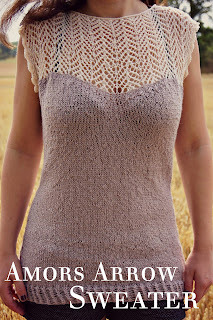 If you have one of those crochet hooks with a sharp tip, you can use it to go through the fabric on the side and pull up a loop. 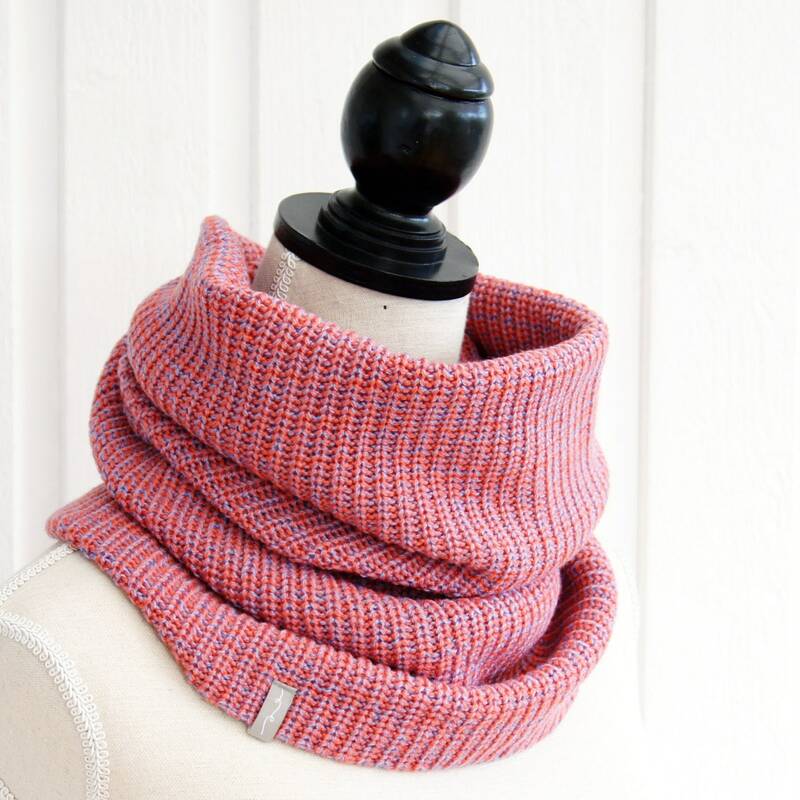 I don't have one of those hooks, so I simply used a darning needle to make a little hole in the fabric and then used a normal small crochet hook to pull up a loop. 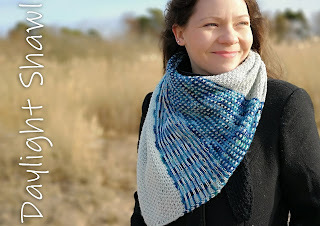 With a little space bewteen (or at your next mark, if you're using option 1), simply go through the fabric again and pull up another loop. Make sure this loop goes through your first one, like you can see in the picture. Do this a along the side of the zipper. 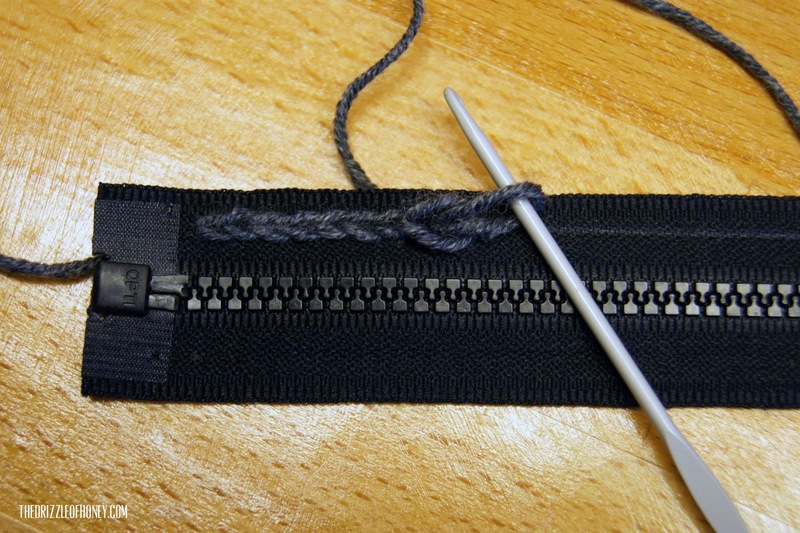 Now pin the zipper in place on your project. Pin outside the chain of loops. 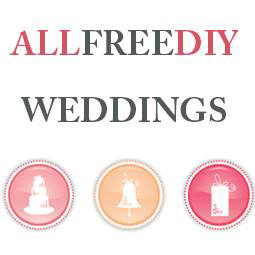 If everything is pinned, as you want it to be, start sewing! If you have to skip a bump sometimes, that's fine! Just make sure you always use the one that's right next to the loop at the zipper. 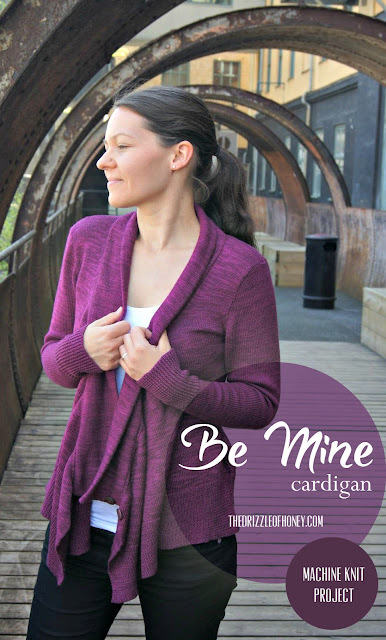 Because you pinned the zipper nicely in place, you don't have to worry about the garment going out of shape or being displaced after sewing on the zipper. If you marked every single bump in the first step, you can skip the pinning and just sew the stiches one by one, until all stiches are sewn. 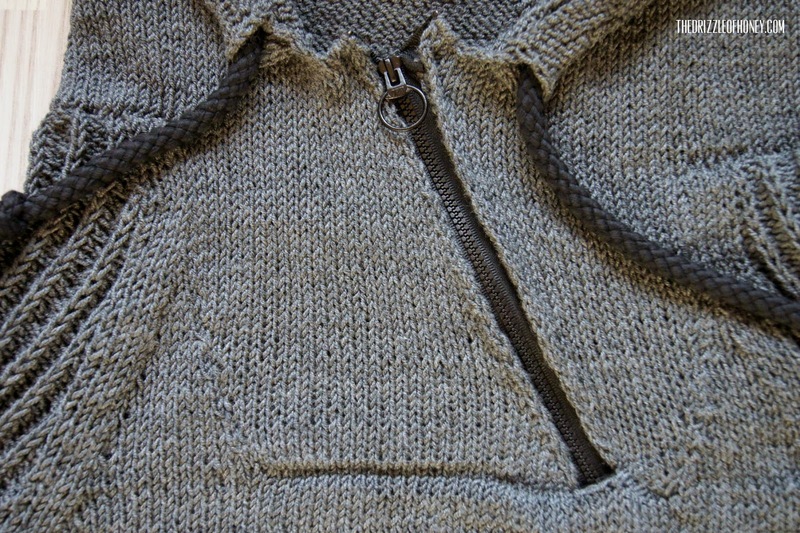 Then sew the other side of the zipper. This is the backside. Not much to see here, only the stiches made by pulling up loops in the first step.